Dive bars. Laneway parties. $4 banh mi. Melbourne’s known for its low-key approach to, well, just about everything, but lately we’ve been uncovering the luxe side of the city’s character. Yep, when it comes to indulgence, Victoria’s capital city knows how to do decadence pretty damn well. Unbeknown to most, Melbourne is home to some of the most luxurious hidden experiences in Australia, from tucking into one of the country’s most prestigious champagne high teas, to being able to spend the night in a plush bedroom that has its very own balcony, overlooking some incredible architecture. We spent the weekend with InterContinental Melbourne The Rialto—our pick of the city’s CBD hotels for an indulgent Aussie staycation—finding out just how good the good life can get. First up, InterContinental Melbourne The Rialto is our pick of the bunch because it comes packed full of experiences that you don’t get with the average hotel stay. The building itself is one of the city’s most historic architectural feats, which means it looks jaw-droppingly beautiful, inside and out. With a ten floor atrium in the centre of the building, plus super-luxe suites that are themed around Melbourne’s most famous suburbs, there really is no other hotel quite like it. Melbourne’s high tea game is pretty competitive, so it’s quite the accolade when we say that the signature high tea at Market Lane Bar, the luxe bar-restaurant inside InterContinental Melbourne The Rialto, is up there in the single digits on our high tea charts. 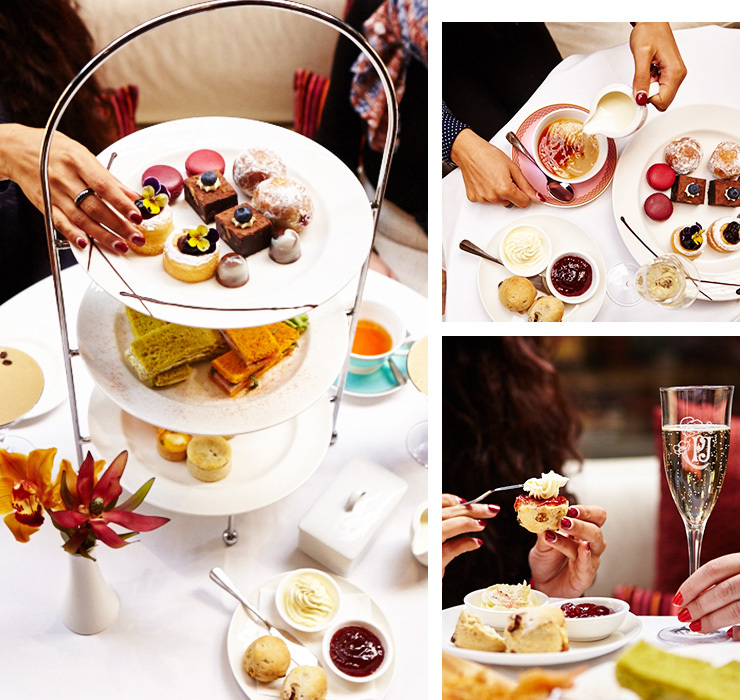 The Mrs D’Ebro’s High Tea, named after the wife of the architect responsible for a wing of the historic building, consists of tea, sandwiches, scones, pastries, macarons, handmade chocolates, and Perrier-Jouët Champagne. 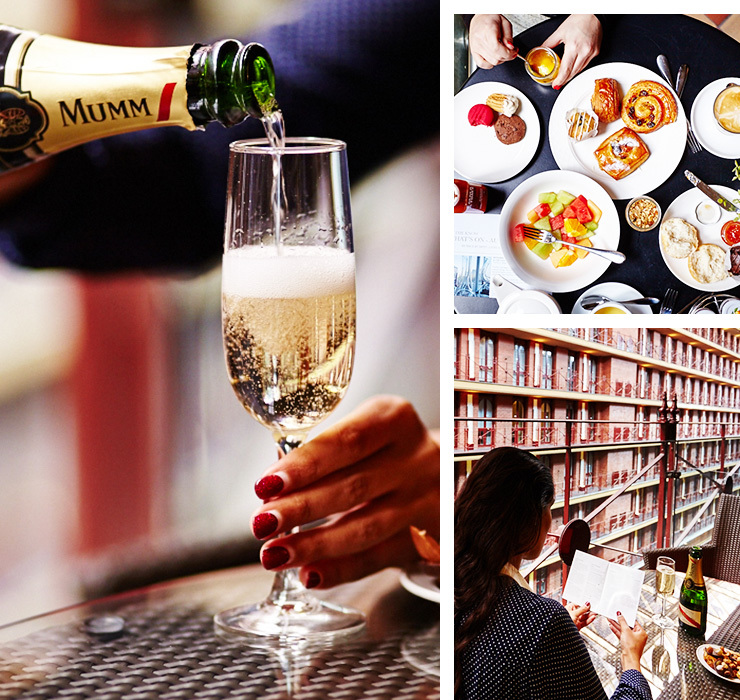 I mean, who doesn’t love a decadent meal of cake, tiny sandwiches, and top-shelf champers enjoyed in one of the most prestigious venues in the city?! There aren’t many venues in Melbourne that invite you to check out their very own private laneway, that's covered in world-class street art! The team at InterContinental Melbourne The Rialto are lucky enough to have their very own cobbled laneway, which you can sneak into with the help of a concierge... Hey, it doesn’t get more Melbourne than that. #5: Bubbles And Canapes Come As Standard… Every. Freakin’. Day. Holidays are all about taking the things you love and turning them up to eleven, right? Which means enjoying a daily aperitif, complete with canapés and epic views, is entirely permissible—no, wait—absolutely essential, every day of your stay. Guys, if I had my way, I’d literally never have to get out of my pyjamas: Not for work, not for dinner, and certainly not for a facial. Thankfully, Botanica Day Spa, which offers massages, manicures and pedicures, facial treatments, and a range of beauty services is actually *inside* the hotel building itself, meaning you can simply wander down in your robe if the notion takes you. Luxury points: ONE MILLION. Whether staycating in a city that we know and love, or exploring a new destination’s hidden gems, location is one of the most important things to get right, otherwise you’ll be pretty much doubling the cost of your holiday with the Uber fares you’ll rack up. 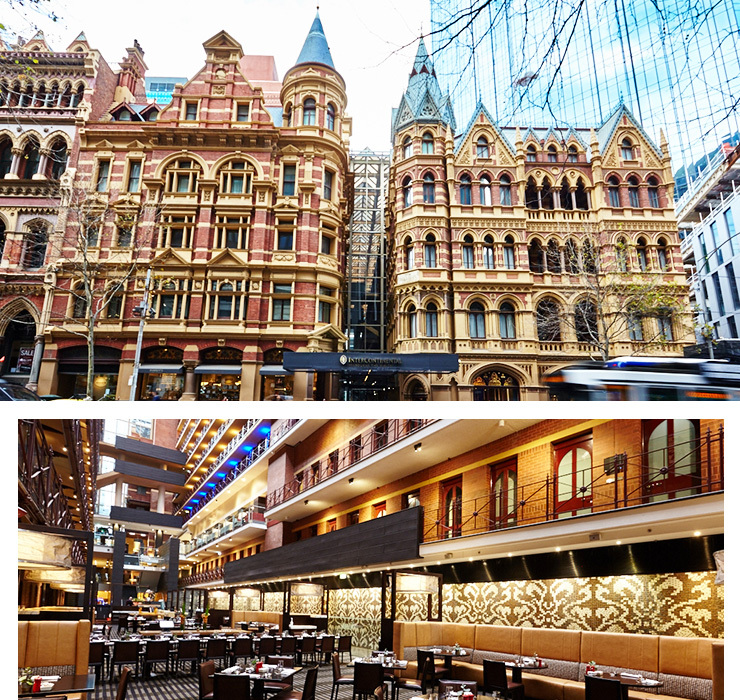 InterContinental Melbourne The Rialto is situated right in the thick of it, between Melbourne’s Collins Street and Flinders Lane, which means that you can walk to the city’s iconic hotspots without having to hail a cab. And if you feel like dining at the hotel, the Alluvial restaurant is serving some incredible dishes, including tom yum soup, lamb cutlets, a medley of beetroot, and a chocolate and caramel sphere to die for. Less Ubers = More cash to splash on that degustation/gig ticket/epic shoe find. Alright, so you can walk pretty much everywhere, but you want to make sure you’re making the most of your time, and you’re in need of a little inspiration. How do you know you’re not missing an absolute gem that’s right on your doorstep?! Easy—just ask the concierge on your way out. InterContinental Melbourne The Rialto is one of the only hotels in Australia to have a team that includes concierge who have been awarded Les Clefs d’Or—the golden keys—in recognition of their world-class expertise when it comes to being vacation ninjas. Simply give them a single word (it could be ‘creativity,’ or ‘secret,’ or ‘doughnuts’) and they will give you a bespoke itinerary on the spot. Last time we challenged them to one based on ‘contemporary’, we discovered one of our new favourite design stores. Yep, even we can learn from these guys. 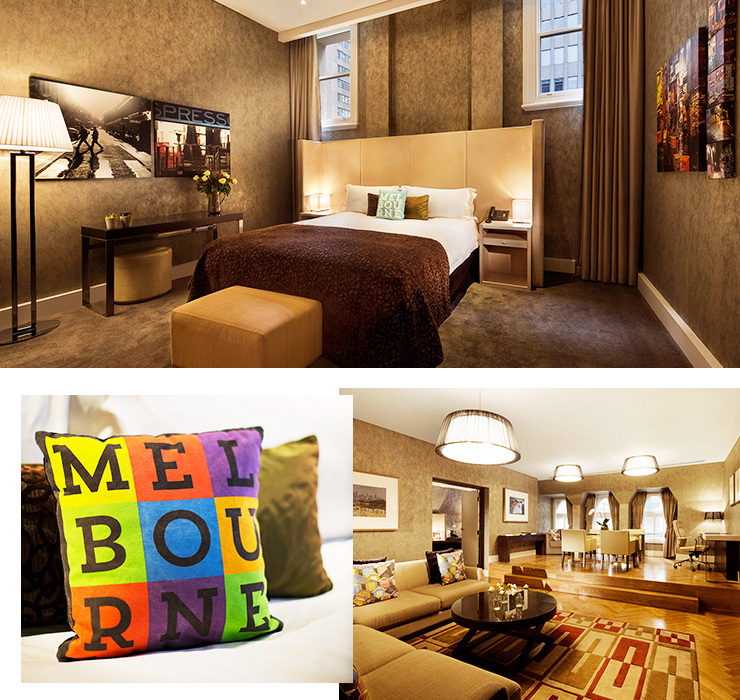 To book your stay at InterContinental Melbourne The Rialto, click here. To book in for the Mrs D’Ebro’s High Tea, click here. 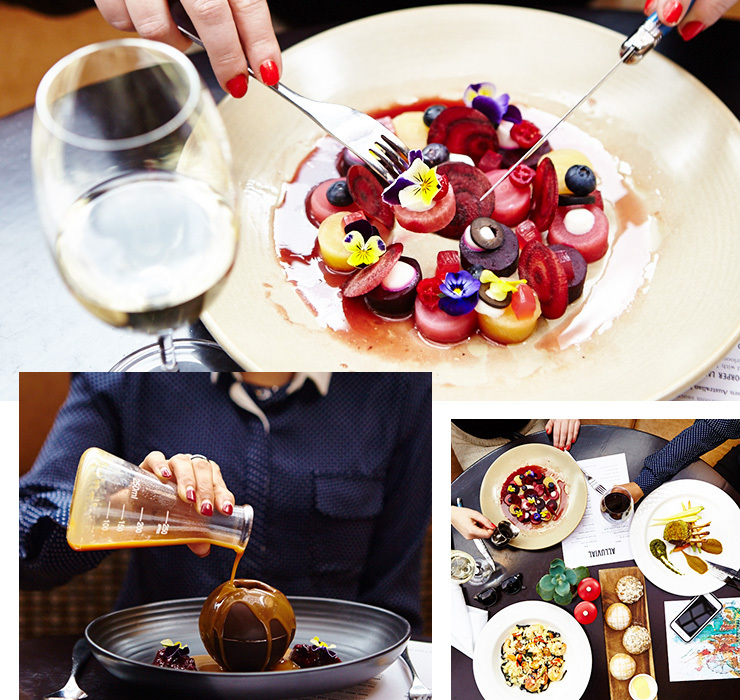 Editors note: This article is sponsored by InterContinental Melbourne The Rialto and proudly endorsed by The Urban List. Thank you for supporting the sponsors who make The Urban List possible. Click here for more information on our editorial policy.